While assessing poverty incidence, it is a regular practice to consider the household as a single entity. This ignores intra-household distributional aspects, implicitly assuming that individual members face identical consequences in the event of the household’s coming to terms with changing economic circumstances. As a result, poverty measures will be misleading if household resource allocation mechanisms tend to favors some members at the cost of others. 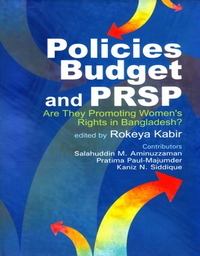 This book is an outcome of a research project on Bangladesh that made an attempt to study the dynamics of household resource allocation closely. Based on a carefully designed and implemented household survey, covering both rural and urban areas, empirical assessments undertaken in various chapters of this volume deal with such issues as potential underestimation of poverty incidence due to the household –level rather than individual-specific focus; the relationship between household income and demand for food; the nature of gender bias in intra-household distribution of food; domestic violence against women and its implications for resources allocated to them; and the role of women’s improved in household decision-making. It also examines household resource allocation behavior towards children and evidence of boy –girl discrimination in it, and the effects of macroeconomic policy shocks on the individual household members. 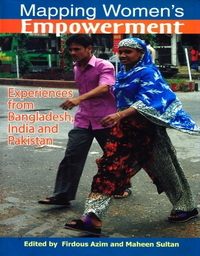 This book will be of interest to researchers, policymakers, and development practitioners, who aim to better understand household resource allocation behavior to help formulate effective policies to tackle poverty in Bangladesh. It should be of interest to organization that generate information with a view to undertaking and promoting policy research on poverty and social development. The book is destined to be a valuable source of reference for gender analysts studying issues such as domestic violence, women’s empowerment and household welfare.